We all dream of escaping the stresses and strains of everyday life and jetting off on tropical holidays. However, these far-flung adventures aren’t all fun and frolics. There are certain practicalities that you can’t afford to neglect when you’re planning these trips, and this guide covers some of the most important. Regardless of how beautiful the beaches and how warm the waters in your chosen destination, no holiday is worth risking your health for. Unfortunately, it is possible to contract a variety of diseases while abroad. One potentially dangerous condition that you must be aware of is Malaria. This serious and in some cases fatal disease is common in tropical areas and it is spread by female mosquitoes that carry a parasite called plasmodium. You might be surprised to learn that each year, around 1,750 people return to the UK with malaria. Most of these individuals contract the disease because they failed to take any anti-malarial tablets, or didn’t take the right ones. So that you don’t fall into this trap, make sure you seek out reliable medical advice ahead of your trip. You can speak to your doctor or contact other trusted health experts, such as LloydsPharmacy Online Doctor. You might find you need to take Doxycycline. This medicine helps to prevent the disease by killing the malaria parasite. Of course, malaria isn’t the only disease you need to be mindful of. Other health risks include dengue, hepatitis A, hepatitis B, typhoid, yellow fever, rabies and meningitis. It is possible to get vaccinations for some of these diseases free on the NHS. However, there are a number of vaccinations that you will need to pay a fee to get. If you think you might need vaccinations, make sure you see your doctor at least eight weeks before you are due to set off on your trip. This is because some of these injections need to be given well in advance in order to allow your body to develop immunity. Also, your doctor may need to administer multiple doses over a period of several weeks. The vaccinations and medicines you need will depend on a range of factors, including where you’re going, the time of year, the length of your trip, your age and health and the activities you are planning to do. When you’re actually on holiday, always be sure to take food safety seriously. Travellers’ diarrhoea (TD) is the most common illness that people experience when they travel from Britain to developing countries and it’s caused by eating or drinking contaminated produce. The most high risk foods are those that have not been thoroughly heated or have been left to cool to room temperature. You can reduce your risk of suffering TD by avoiding these types of food, and by steering clear of tap water in favour of bottled or filtered water. It’s also wise to avoid salads and uncooked fruit and vegetables unless you’ve washed and prepared them yourself. Unpasteurised milk, cheese and other dairy products can be dangerous too, along with raw or undercooked seafood. You’ll also need to pack certain health essentials for your overseas adventure. Sunscreen and insect repellent are a must, and you might also benefit from taking a first aid kit, especially if you’re planning to venture off the beaten track. Meanwhile, anti-diarrhoea pills and rehydration sachets can come in handy, and antihistamines can relieve the itching and inflammation caused by insect bites and allergies. If you’re going to malarial countries, you’ll need a mosquito net too, and versions that are impregnated with insecticide are the most effective. No matter how careful you are, there is always a risk that you’ll suffer an injury or become ill while you’re on holiday. This means it’s important to make sure you have suitable health insurance in place to cover any treatment and repatriation costs. 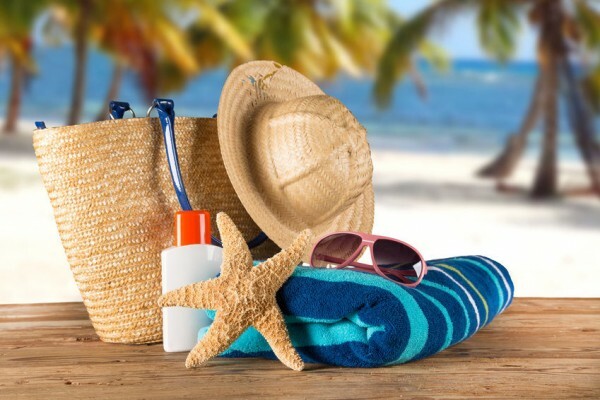 As long as you bear these practical issues in mind when you’re taking a tropical holiday, you can protect your health while enjoying all that your destination of choice has to offer.